In a perfect world, we’d all get to take a raincheck on work, school, or just life in general during those blustery, wet spring days. But since that isn’t a reality for most of us, we’ve decided to help you out in the fashion department. Despite the overall unkempt feeling that is synonymous with rainy days, it is possible to look cute and stay dry. 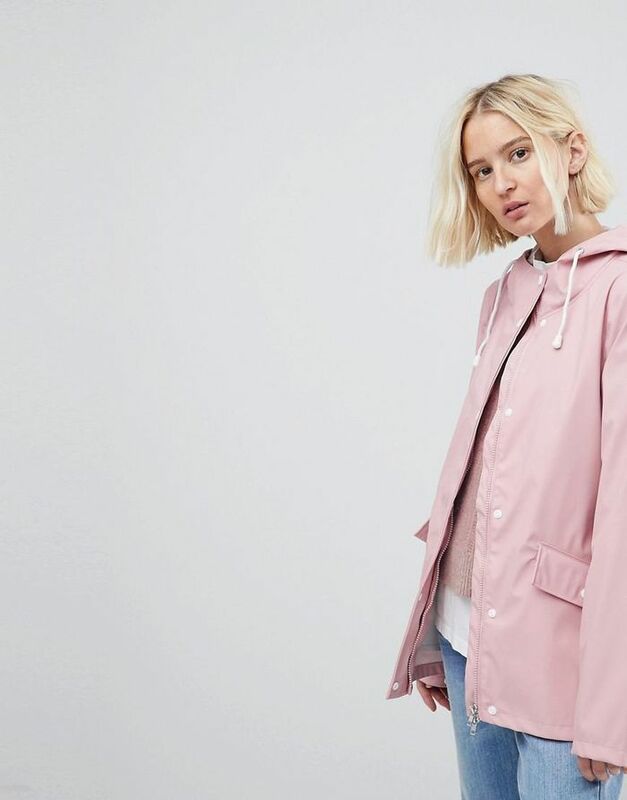 To prove it, we’ve rounded up the best water-resistant outerwear, cute umbrellas, cropped denim, shoes, and more to help you ward off the wet and dreary weather in style. Scroll to shop our favorite pieces for looking chic, no matter what Mother Nature throws your way. A lightweight slicker will layer seamlessly over another jacket. A transparent raincoat is at once chic and practical. Available in sizes 36 IT to 44 IT. If you’re looking for a classic piece to last for years, this is the coat for you. Available in sizes XXXS to M.
For a sporty twist, take this reversible raincoat for a spin. If you like taking a sartorial risk or two, try out this pastel- and neutral-toned jacket. Cropped denim is ideal for keeping the hems of your pants dry during inclement weather. These flares will look cute with either sneakers or rain booties. A mini bootcut style is perfect for ankle booties. Don’t let the rain stop you from being playful with this cute pair of embroidered denim. These look great every day but are especially practical for jumping in puddles. Classically streamlined booties are perfect for rain or shine. How cute are these short booties? We especially love the neutral color. Patent leather sneakers are on trend and water-resistant. For those rainy days where you don’t feel like wearing boots, these high-tops are ideal. Easy to throw in your bag, and you won’t mix it up with all the other basic black umbrellas. Have some fun in the dreary weather with this editor favorite. Of course we had to include the classic rainy-day print. The perfect size for keeping at your desk at work or in the backseat of your car. Add this umbrella to a monotone outfit for a fun pop. Who says you can't look cute while staying dry?